Rose Cottage was suffering from years of neglect and needed a total refurbishment to bring it up to modern living standards. The clients had basic plans but let New Dimensions style the finish. We chose to use maximise space with built in cupboards where possible and used oak engineered floors and solid oak doors downstairs to complement the cottages character. Some of the interior walls needed underpinning and the floors in the old part of the house required digging out and replacing with modern insulated methods. The chimney was rebuilt, lined and a small wood burning stove installed by our qualified HETAS staff. The Howdens kitchen and utility room were designed to maximise space and the breakfast bar allows modern living for the new occupants. 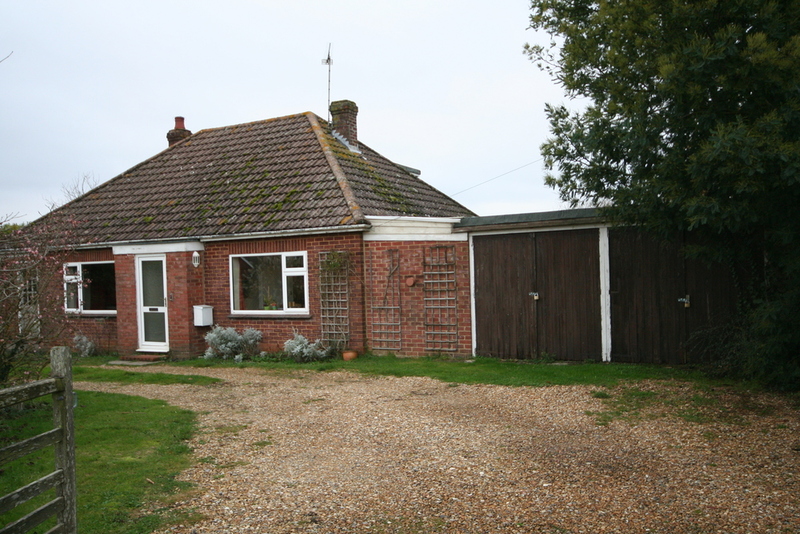 Recently sold we are confident that the new owners will love living in this cosy well equipped cottage. 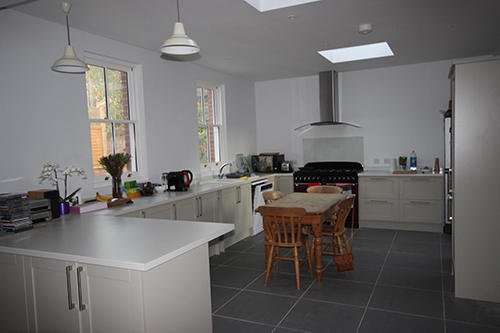 The project was a clever transformation of a 1950’s bungalow into a good looking 3 bedroomed house. With only a minimal increase to the footprint the property was doubled in size. Replacing the outer skin gave continuity of materials and a careful choice of tiles blended the masonry, roof and tile hang expertly together. Initial works were delayed to accommodate bats elsewhere then the use of bat boxes throughout the tile hanging and on the roof enabled a soft approach to the environment. 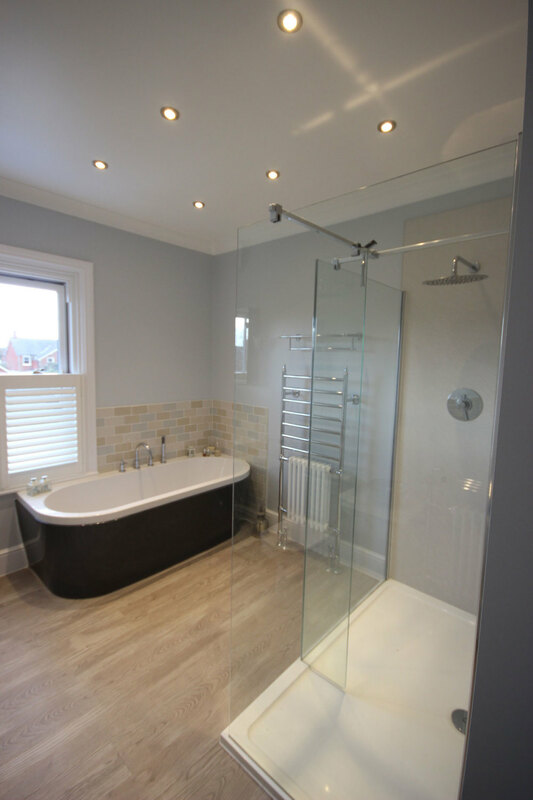 The interior was completely renovated with new plumbing, electrics, floors, stairs and plastering all being replaced. The clients (who are keen gardeners) also had the exterior totally revamped leaving a fresh modern house sympathetically nestled amongst a mature garden. The 1950's bungalow before the build. The brief for this was to build an annexe for the families son. Stuart Pike at Favonius designed a self-contained 2 bedroomed house annexed to the original and accessible internally via a door on the upstairs landing. The new build comprised of a living dining area, kitchen, lobby, storage cupboard and downstairs bathroom. Upstairs two sizeable bedrooms and bathroom. The original house was also extended to the rear and front and rear were landscaped. Where ever possible the character of the original house was mimicked in the annexe but with the modern addition of underfloor heating downstairs, electric velux windows modern recessed led lamps. The project took approximately six months from start to finish. New Dimensions fitted all 4 bathrooms, two kitchens and decorated throughout as part of the contract. All downstairs floor finishes were either engineered wooden floating floors or ceramic tiles. The modest extension built on the back of this lovely grade2 listed building did not compliment or enhance the property and was in need of facelift. Simon Lock of Favonius opted to replace the failing felt roof with a pitched Zinc replacement and we decided that cladding the building Oak would cover the poor brickwork and blemishes. The joinery also finished in Oak provided a start point for the design which although modern compliments the character of the house. The old oil boiler was replaced with a modern external condensing boiler and this gave more internal space and a far more efficient use of fuel. The final landscaping with Indian Sandstone and a gravel path has lifted the appearance in the back garden and suits the property well. The client wanted to simply make more space for the family and the extension consisted of a new living room downstairs to replace an ageing conservatory and a new bedroom upstairs and a modest extension to the kitchen for a practical utility room. The garden was also to be landscaped with low maintenance vegetable beds and a much larger patio. Simon Lock of Favonius created this simple design with a straight forward two storey extension on the end gable and a smaller flat roof extension adjacent to the kitchen. The smaller extension comprised of a flat roof finished in lead and with a pyramid roof light to increase the light so the kitchen didn’t suffer. The larger extension was traditional construction and locally sourced bespoke headstones and sills were used to replicate the main house. The sash windows were factory finished by our joinery company and again fitted to mimic the main house. Keen vegetable gardeners we created a clean area leading to the greenhouse with raised vegetable beds and stepping stones through the gravel. A large sandstone patio blends well and allows plenty of space for BBQ’s and outdoor entertaining. 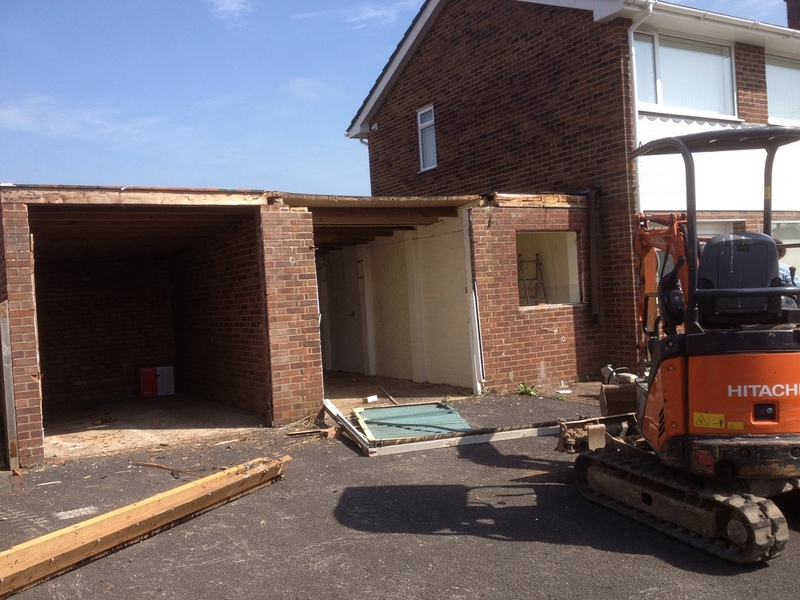 Firstly to remove the existing garage and to excavate the ground level to approximately 1 metre below the existing level. Then to rebuild a garage with a study and utility room above. Secondly to remove some rather treacherous steps leading to the front door and create a new set of steps and a much shallower drive to the garage. Thirdly to excavate a large section of material from the back garden and build a retaining wall raised terrace incorporating steps to the terraced rear garden. The first part of the project required extensive underpinning as the foundations for the house were shallower than the proposed garage. The front staircase was to match the rear and required integral lighting to make it safer during the winter months. This could not be constructed however until the rear had been completed as the material needed to be cleared via the front garden. The rear terrace and steps was a combination of circles and curves and had to also act as retaining walls. These also incorporated lights for safety and aesthetics. The results for the overall project were impactful and have allowed the clients to use the rear garden far more extensively throughout the summer. Design by Michael Luffman (Salisbury). 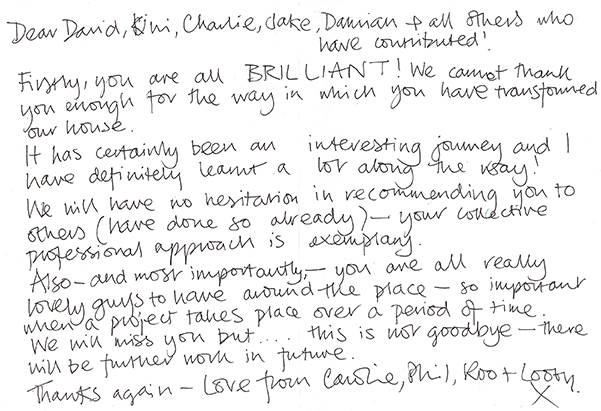 This project was won as part of a tender process through Favonius in Salisbury. The architect Stuart Pike was commissioned to design a large kitchen extension to the back of the house. The kitchen was to look out over their garden and incorporate a dining area and snug in keeping with todays modern living. The design incorporated a flat ceiling internally leading to a vaulted ceiling in the extension. This required a significant amount of steel work and temporary suspension of the whole of the back of the building whilst they were inserted. The shallow pitch on the roof was made possible by a particular slate and it incorporates x3 electrically operated velux to maximise light and ventilation. The floor has been replaced in the old part of the building and insulated to create a warmer and more heat efficient room. The completely open space allows for a snug area with TV and sofa so the little ones can be in the room whilst mum prepares supper. Outside the old lean to roof between the house and the garage was removed to give a cleaner look. The rear garden sits approx. 1.2 metres below the front of the house and with access limited the rear of the garage was temporarily removed to allow the significant ground works to take place. New steps, an enlarged patio and new pathway make the outside a much more useful extension of the interior space in the summer. Aluminium doors and windows and panels were used to contract the house and the soffits were clad with cedar panels.